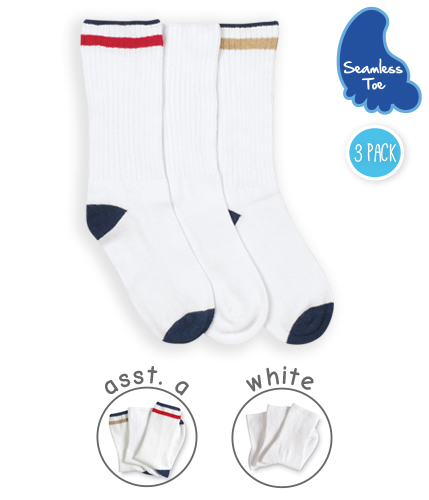 This casual crew three pack is perfect for any age boy! The seamless toe adds extra comfort for everyday wear. *Additional colors in this style are available in select sizes on our kids page!